After three weeks of class, you’re probably fairly acquainted with your new professors. Some do not care if you show up to class, but others require you to be there every time to earn an A. Both types of teachers may teach largely the same way, so my question is this: If I’m paying for college credits, why should my attendance affect my grade? Personally, I think that if I miss a couple of classes, but still demonstrate that I know the class material by getting good grades on projects and tests, a professor shouldn’t punish me. Making attendance mandatory doesn’t motivate me, or any other student, to do better in class. In fact, Paul Pintrich, the author of “Student Motivation in the College Classroom,” argues that students’ ambition is tied to their sense of control. “When [students] do not perceive a contingency between their behavior and outcomes, they can experience passivity, anxiety, lack of effort and lower achievement,” Pintrich writes. In other words, mandatory attendance may reduce students’ feelings of control over their environment, which in turn leads to reduced motivation to learn in class. The reward of “attendance points” for students who would already be willing to attend class diminishes those students’ desire to learn. It misleads them into attributing their attendance to classroom policy and not their own internal motivation. They are more likely to think they are in class because professors force them to be, not because they want to be. A study done by the Review of Educational Research in June 2010 reveals that, while showing up to class can definitely help you get a better grade, professors mandating attendance does not significantly impact how well the students do. Students who get better grades are already intrinsically motivated to go to class, so adding extrinsic motivation does not improve their grades. In fact, it only hurts their grades based on unfair assumptions on their lives outside the classroom. Many students have to take on full-time jobs in order to pay their tuition, causing them to miss class to pay for school. Employed students should not receive lower grades than their unemployed peers because they missed class in order to afford college. A survey from Citigroup and Seventeen magazine from August 2013 finds that almost 80 percent of students — including those in high school, community college, online college or traditional college or university — take on at least a part-time job during the school year. They calculated that, on average, these students work 19 hours a week. Assuming that students have 15 hours of class a week and sleep 8 hours a night on average, this leaves them with 70 hours of free time per week — so seven hours per day for homework, friends and family. According to a Wall Street Journal report from July 2013, parents are, on average, contributing 27 percent toward their children’s education. Therefore, most kids aren’t able to have an open schedule with ample time to attend class when they’re paying, on average, $23,410 a year to stay in college. Of course, however, sometimes attendance is necessary for discussion-based classes, as a lot of what students learn in these classes depends on how they engage with their peers. In these cases, professors should work with students who are must miss more than the average two allotted absences by engaging them in class discussions via alternative means — perhaps by having them share their thoughts with the class via message boards or short essays for days when they can’t make it. Professors can initiate a similar policy if they want to ensure that students do readings. When it comes down to it, though, college students are old enough to take responsibility for their actions — they are able to make up work when needed. Professors don’t need to punish them for not going to class. 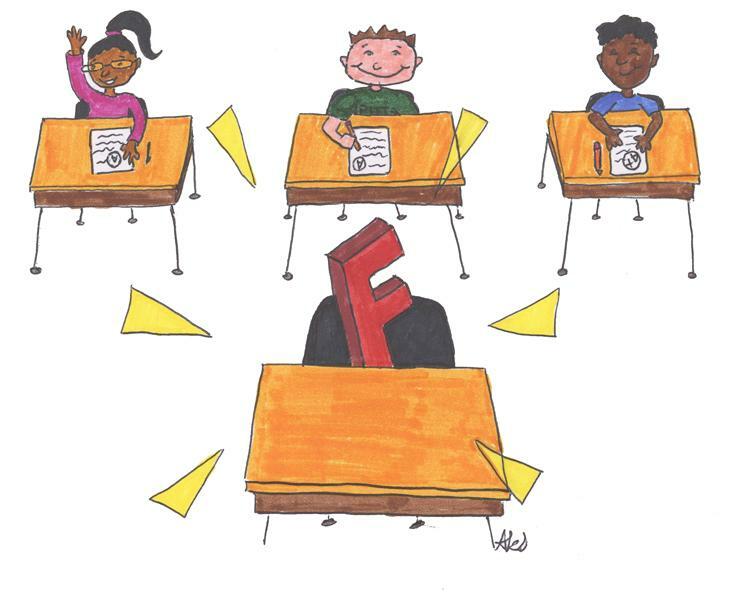 Students’ grades should ultimately reflect what they know about the subject and the best way to do that is to get rid of attendance-based grading. Cecile Truong primarily writes about college and social issues for The Pitt News. Write to Cecile at cet41@pitt.edu.